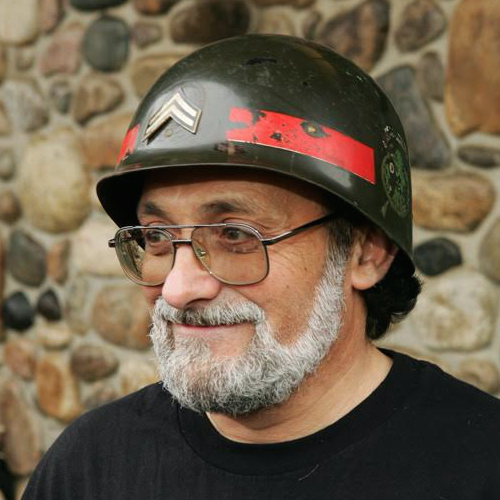 Lee Covino is a US Army veteran who served in 1970-71. He became an advocate for vets affairs as a peer counselor while attending the College of Staten Island on the GI Bill from 1973-1977. From 1980-1984, he worked as an intervention counselor for the VA’s Vietnam Veterans Outreach Center in Brooklyn and Staten Island, assisting close to 1,000 Vietnam era and combat vets. In July, 1990, he was appointed to the Staten Island Borough President’s Cabinet, where he served as the Veterans Affairs Advisor and Director of Contracts & Procurement until his retirement in March, 2014. In May 2002, Covino was appointed to the City’s Veterans Advisory Board by Mayor Michael R. Bloomberg. He was re-appointed to the board by the Mayor in 2007 and in 2012, ending his term as Vice-Chairman of the Board in April, 2015. Over the years, Lee has played a major role in bringing the Vet Center and the VA Clinic to Staten Island, as well as in obtaining a Staten Island bus link to the VA Hospital in Brooklyn. Working with the Borough President, he helped coordinate annual Fleet Week activities, developed Operation Vet Care, which brought the VA’s outreach van to minority-based areas on Staten Island, Operation Vet Call, which assisted vets with resume development and job search through the State Department of Labor, and Operation Vet Link, which assisted veterans with learning basic computer skills through free courses donated by local business schools. He is a member of the VFW, American Legion, Vietnam Veterans of America, the Catholic War Veterans, AMVETS, the NYC Veterans Alliance and the 369th Veterans Association. Covino also serves as Treasurer of the United Staten Island Veterans Organization, Inc. (USIVO), an umbrella group of Staten Island veteran organizations which sponsor the annual Memorial Day Parade. Lee was installed into the CSI Alumni Hall of Fame in March, 1989. In 2004, the College of Staten Island Archives catalogued a collection of veteran’s issues which Covino was involved in from 1973 – 1994. An inventory may be found here. Lee Covino lives in St. George, Staten Island with his wife, Catherine. His daughter Mariel is an alumna of the College of Staten Island and Hunter College.